Woohoo! The final Silverlight 4 runtime and the developer tools for Visual Studio 2010 were released today and exactly three years ago the name Silverlight was officially introduced. A lot of great things happened in the Silverlight world since then and we now have a superb RIA platform at hand. To get started with the Silverlight 4 development you only need Visual Studio 2010 and the Silverlight 4 Tools for Visual Studio. Don't forget, it's all free with the Visual Studio 2010 Express edition! The end-user runtime is available for Windows and Mac. As usual, Tim Heuer wrote a nice blog post about the Silverlight tools. The APIs haven't changed much since the last release candidate (RC) and exactly one month ago I wrote a summary of all the new features that were added since the Silverlight 4 Beta to the Silverlight 4 RC and the breaking changes. The post also contained some details about the CaptureSource's changed capture usage pattern. So if you used the Silverlight 4 Beta and skipped the RC, this post might be helpful. I installed the Visual Studio 2010 RTM build on Monday after it was released at Devconnections, the final Silverlight 4 Tools for Visual Studio today and recompiled all my Silverlight 4 samples and open source projects. It all worked like a charm and even on this machine were I had several betas of all the tools installed before. Kudos to the Visual Studio and the Silverlight team for making such great products. My relevant Silverlight 4 blog posts, the SLARToolkit and the FaceLight CodePlex open source projects are now up to date. The first beta of the next Silverlight version will most certainly see the light this year. Make sure to vote or suggest new features at the silverlight.mswish.net site. The most important feature suggestion for me is the GPU accelerated 3D support that I suggested a while ago and which was consolidated into this suggestion. If you agree with me, you should vote for it. 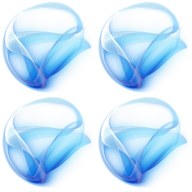 Have fun with Silverlight 4! Congratulations! We are pleased to present you with the 2010 Microsoft® MVP Award! This award is given to exceptional technical community leaders who actively share their high quality, real world expertise with others. We appreciate your outstanding contributions in Silverlight technical communities during the past year. It's a real honor for me to get the Silverlight MVP award. All the Silverlight MVPs I know are truly outstanding and I can hardly believe I'm considered to be one of them now. It's even more surreal that I'm the first Silverlight MVP from Germany and the second from the DACH region after the excellent Laurent Bugnion. 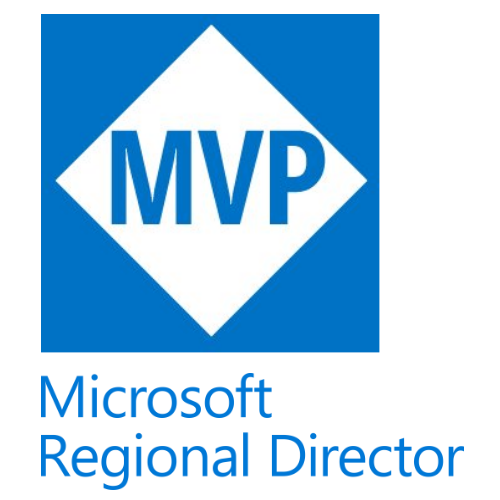 I would like to thank Microsoft, the great Silverlight community and especially all that nominated me for the MVP award. It's needless to say that I will continue my work with Silverlight to provide more useful content and I hope I'll be able to satisfy the high expectations.